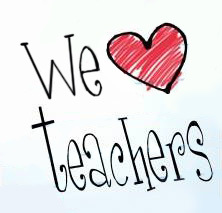 This is Teacher Appreciation Week. Take a moment to thank a teacher for all the amazing things they do every day. Also think about school staff, volunteers, and PTO/PTA members who give so much of their time for little or no recognition.